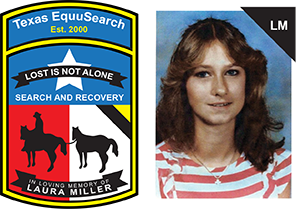 11/12/17 — We are very sad to report that Texas EquuSearch members found human remains this morning thought to be those of Ms. Rivera. Positive identification must be determined by homicide detectives and the Medical Examiner’s Office. We would like to thank our members for helping bring Ms. Rivera’s family some form of closure. Please keep her family and loved ones in your thoughts and prayers during their time of grief. 11/11/17 — GROUND SEARCH ACTIVATION — The active search for 60 year-old Elizabeth Rivera will begin Sunday – November 12th 2017 at 9:00 a.m. We will be in need of searchers on foot and ATVS. The search Command Post will be at the “Mission Milby”, located at 2220 Broadway St. @ Keller St. in Houston, Texas 77012. Enter through the gate at the rear of the building. Please dress appropriately for the forecasted weather conditions, thick brush, and some rough terrain. 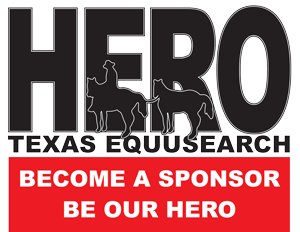 Please wear your Texas EquuSearch shirts. Bring your own snacks & water if possible. Your Search Coordinator is Frank Black, and he can be reached at (713) 301-6813. 11/10/17 — 60 year-old Elizabeth Rivera was last seen in the area of Galveston Rd. @ Broadway in Houston, Texas on October 29th 2017. It’s unknown what color, style or type of clothing that Elizabeth was wearing. Elizabeth has a torn right earlobe, shoulder length hair and she is of light complexion. If you have seen Elizabeth Rivera since her disappearance, if you know of her current whereabouts or if you have any information concerning Elizabeth’s disappearance; please call the Houston Police Department at (832) 394-1840 – or call Texas EquuSearch at (281) 309-9500.